Your home is supposed to be your oasis. But pollen, dander, dust, and other irritants in the air can quickly reduce the air quality of your residential paradise. While air filters can certainly help, most air filters are not fine enough to trap irritants like mold spores and dust that cause allergy flare ups and reduce air quality. Homeowners need to go one step further to improve their home’s air quality by investing in an air purification system. However, you should know that not all air purifiers are created equal. There are several different types of air purifiers; some have the ability to filter out larger particles like dander, hair, and dirt, while others trap teeny tiny particles like germs, viruses, odors, and mold. Below, we describe what air purifiers are and breakdown the several types of air purifiers so you can choose the best one for your home. 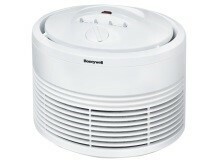 Air purifiers are used to remove contaminants from the air. They can be manufactured as small, stand-alone units or larger units that can be attached to your HVAC. Air purifiers remove dust, volatile organic compounds, dander, mold spores, smoke, dust mites, and pollen from the air using high heat, UV light, exhaust systems, ionic technology, or HEPA filters. Ultraviolet (UV) air purifiers use ultraviolet light to remove potentially harmful viruses, bacteria, and pathogens from your home. The inspiration for UV air purifiers came from hospitals that use special ultraviolet light bulbs to disinfect patient rooms and laboratories. Residential UV air purifiers are small, compact machines that filter the air in your home through a chamber filled with UV light. The UV light destroys pathogens by breaking molecular bonds in their DNA. Ultraviolet air purifiers can cost as little as $50 or as much as $800 depending on the model you purchase. If you want to kill mold, germs, and other bacteria to prevent illness, UV air purifiers kill 99.9% of mold spores that pass through your furnace or air conditioner. Just keep in mind that because UV air purifiers use special light bulbs to reduce harmful particles from the air, the bulbs will need to be replaced every year or so, depending on the model and how often you run the purifier. HEPA air purifiers use an advanced air filter to remove 99.7% of all particles larger than 0.2 microns from the air in your home. That means that HEPA air purifiers are highly effective at removing particles like pollen, dander, mold, and dust from the air. 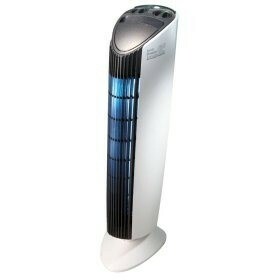 HEPA air purifiers cost between $30 and $300 depending on the model that you buy. HEPA air filters are a consumer favorite because they’re effective at removing the vast majority of irritating particles and pollutants from the air. However, HEPA air filters must be replaced after every month of use. In addition, HEPA air filters cannot trap microorganisms smaller than 0.2 microns like germs, viruses, and bacteria. Activated carbon air purifiers are effective at removing smoke, odors, fumes, and gasses from the air inside your home. People who are sensitive to odors like smoke or natural gas should consider an activated carbon air purifier. Most activated carbon air purifiers include HEPA filters that remove particles from the air as well. Activated carbon air purifiers are priced at $100 and higher. If you want to remove odors and smells from your home, an activated carbon air purifier is the only type of air purifier that is designed to eliminate odors, chemicals, fumes, smokes, and gasses from the air. However, this means they are less effective at removing pollen, dander, dust, or mold from the air unless the model includes a HEPA air filter. Ionic air purifiers are extremely quiet and operate without a motor. They emit negative ions into the air, which bond with positively charged, airborne particles like dust, making these particles so heavy that they eventually fall out of the air. Some ionic air purifiers have electrostatic precipitators that trap positively charged particles to a metal plate inside the air purifier. 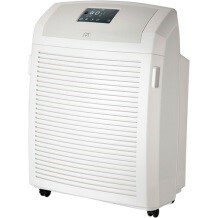 The price of ionic air purifiers range from $30 to $300 depending on the model and size of the air purifier. While most ionic air purifiers are large, separate devices that need to be placed throughout your home, there is one type of ionic air purifier that is making waves in the world of air treatment. The new iWave-R from Nu-Calgon is one of the best air purifiers you can buy as it is the world’s first self-cleaning air purifier using ionic technology. Plus, the iWave-R air purifier attaches directly onto your HVAC system to ensure that your whole air supply stays clean, not just the room that you place it in. With the iWave-R in your home, you can enjoy all of the benefits of ionic purification without the drawbacks. Ionic air purifiers can remove just about anything other than odors from the air. That includes dust, dander, allergens, smoke, viruses, bacteria, and fumes. Some models do need to be cleaned regularly in order to maintain functionality and fully remove air pollutants, but the new iWave-R is able to clean itself. An electronic air cleaner is a whole-home solution that works with your furnace or air conditioner to charge and trap airborne particles using static electricity. Electronic air cleaners can remove up to 99.98% of allergens from the air in your home using HEPA filters and positively charged ions. They purify the air in your entire home by using a HEPA filter in conjunction with your heating at cooling systems. In essence, an electronic air cleaner ensures that the air that passes through your HVAC systems also pass through a HEPA filter that can trap particles as small as .3 microns. Any remaining impurities are then zapped by positively charged ions generated by the electronic air cleaner. If you want to remove dust, dander, allergens, smoke, viruses, bacteria, or fumes from your home, an electronic air cleaners does a great job. They do need to be professionally installed, but with the ability to remove 99.98% of allergens from the air, they’re one of the most effective air purifiers you can buy. In addition to a professional installation, it’s also worth mentioning that the cleaner’s filters must be replaced and the ionizing wires or collector cells must be cleaned after every month of use. Cleaning can be a simple event, however, as the cells can be washed in the dishwasher, in a tub, or with a garden hose. 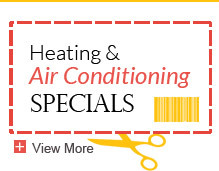 Central air cleaners purify the air in your entire home by connecting to your central heating and cooling systems. Central air cleaners work silently in the ductwork of your home to remove up to 99% of the most and pollen in your home, 98% of the dust in your home and 94% of the viruses in your home. Central air cleaners can greatly reduce the impact of allergies, asthma and viruses on your health. They also help extend the life of your heater and A/C by filtering out particles that might otherwise interfere with the equipment. Wile central air cleaners need to be professionally installed, this type of air cleaner is very efficient, with upper-tier models having a 98% efficiency in removing particles that are less than one micron in size. 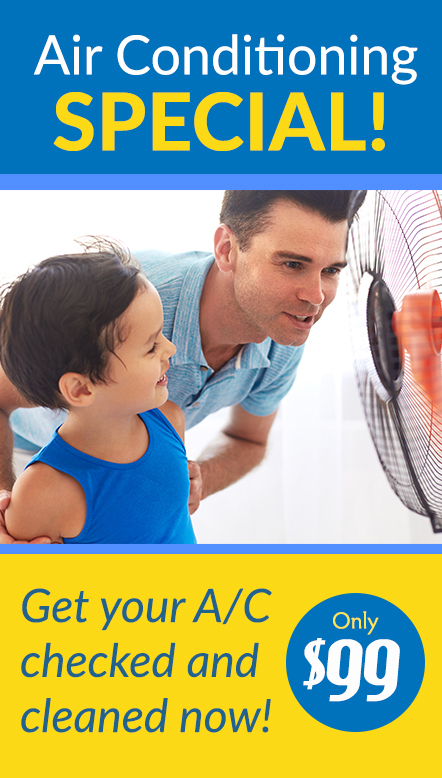 From smoke to pet dander, a central air cleaner will take care of it all. Air-to-air exchangers actually ventilate your home by removing old, stale air and bringing in healthy, fresh air. Air-to-air exchangers can also help you regulate the temperature and humidity of your home using “energy recovery ventilators.” For instance, in the winter an air-to air exchanger will trap the heat from the air before ventilating it out of your home. This heat will be used to warm and humidify clean air entering your home in order to maintain an even temperature. In the summer, and air to air exchanger cools and dehumidifies clean air from outside before channeling it into your home. If your home suffers from stale air or poor circulation, an air-to-air exchangers will bring the fresh air in from the outdoors. This helps regulate your home’s climate and reduces the amount of mold in the air. If you want to improve your homes air quality, air purifiers and air cleaners are the way to go. More sophisticated than simple air filters, these devices work hard to eliminate potential pollutants and irritants from your home’s atmosphere. As a result, you can expect your allergy and asthma symptoms to improve. You can also breathe a little easier knowing that harmful particles won’t be waiting for you at home. Are you ready to invest in a cleaner and healthier home? Contact us for more information and advice about which type of air purifier is best for your home and HVAC system. Have more questions you want answered? 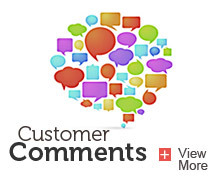 Leave us a comment below or reach out over Facebook or Twitter!